I found these trees in Horseshoe Park and waited until the first light just hit them. It still hadn't reached the hill and trees behind them, leaving them in the shadows. 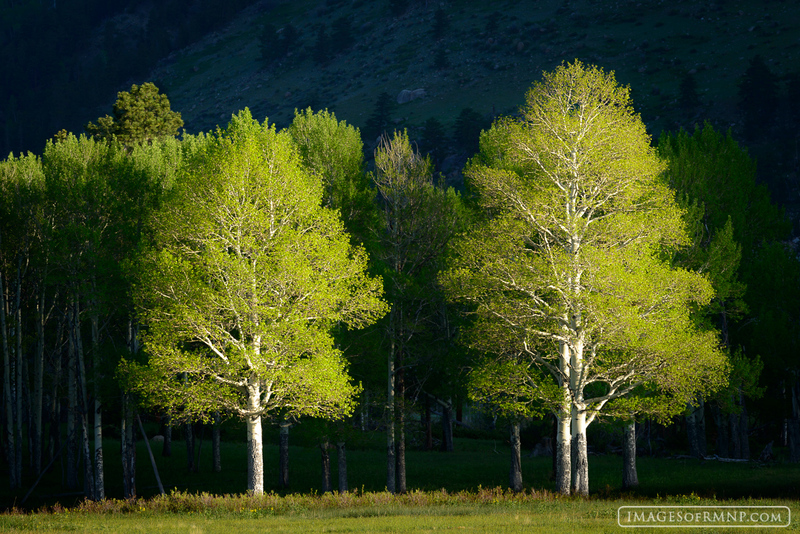 Their fresh green foliage glowed in the warm light as birds sang and flew from branch to branch, celebrating the new day. Just behind these trees, out of sight of the camera, elk with shiny fresh coats and velvet covered antlers were running through the meadow. Photo © copyright by Erik Stensland.